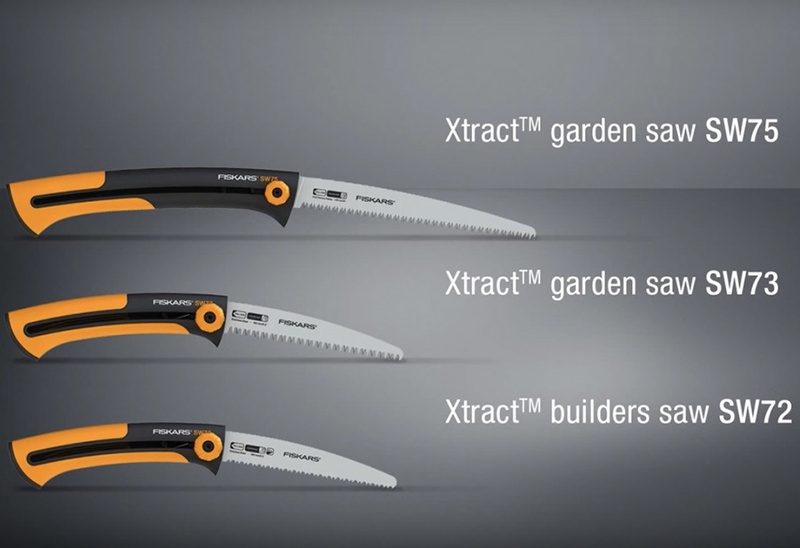 Fiskars Xtract™ Garden Saw (L) SW75 is a highly efficient tree saw designed to cut fresh wood. The largest of the Xtract saws, it has a 255 mm length blade with a large sawing capacity of up to 220 mm, which cuts on the pull stroke. What's more, the SoftGrip™ handle ensures a solid grip while a finger guard protects fingers from sliding onto the blade. 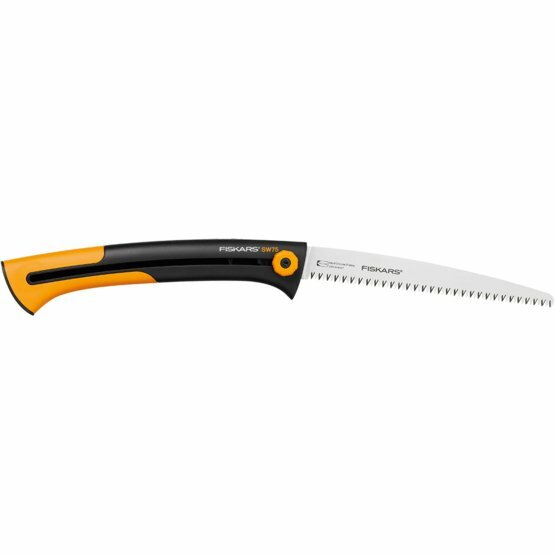 Combine this with a unique retractable blade mechanism and integrated belt clip, and you have a perfect portable saw which is safe to carry and easy to store.